This stylish collection features four allium varieties that are guaranteed to add some bold colour and sophistication to your modern garden. 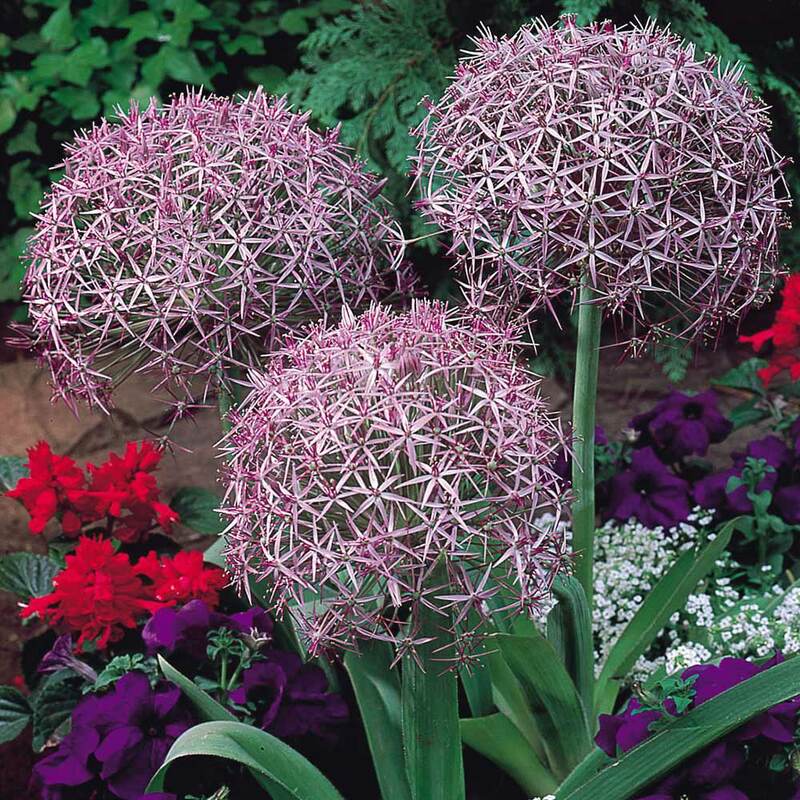 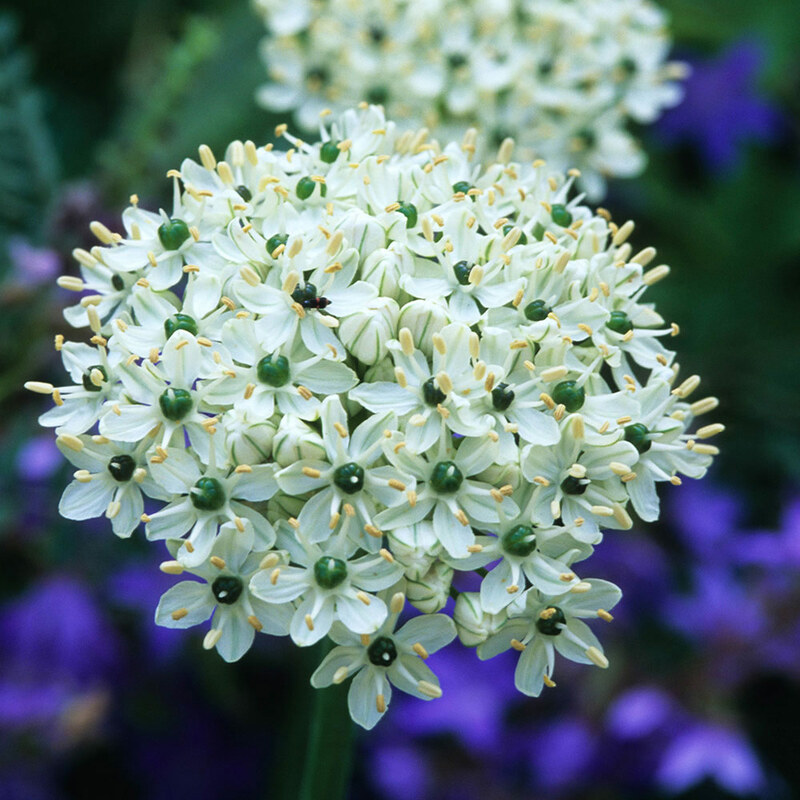 Ranging from 50-80cm in height this architectural collection is excellent for the border where the giant spherical flower heads will look particularly striking against other summer flowering plants. 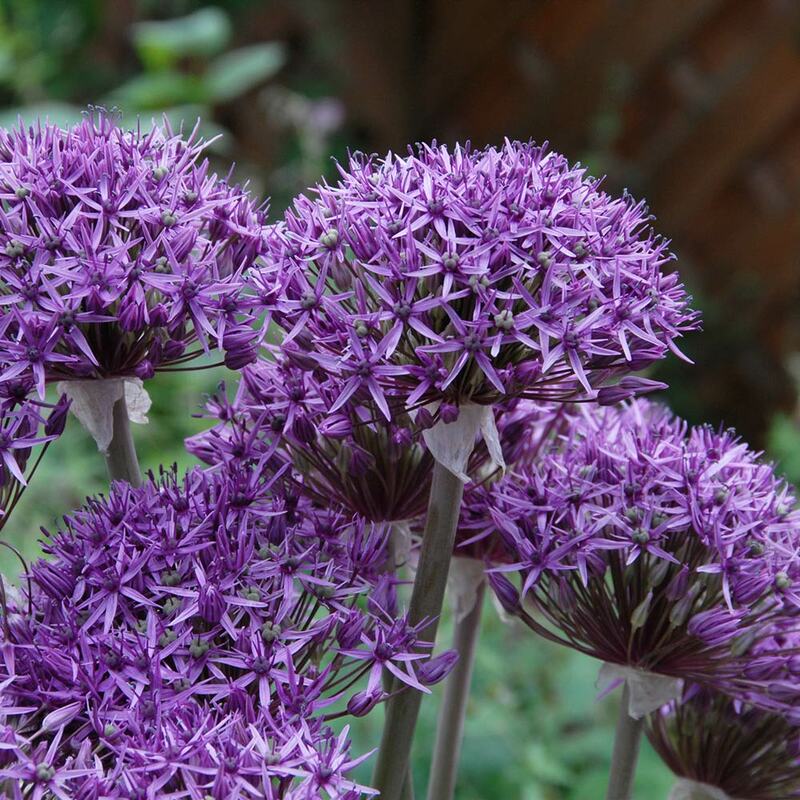 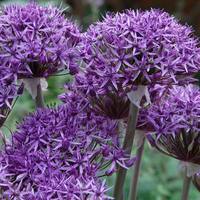 Alliums make excellent cut flowers for the vase and are also a favourite of butterflies and bees. 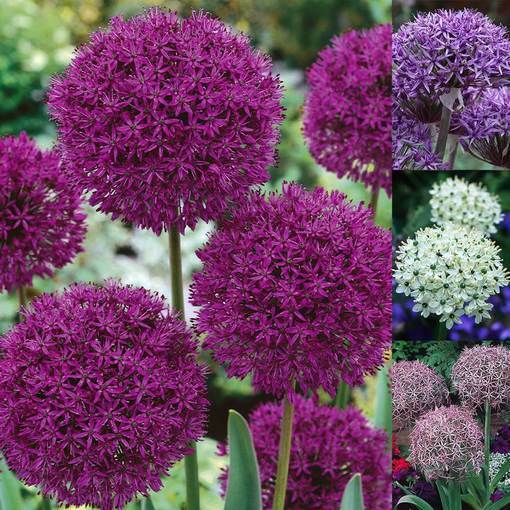 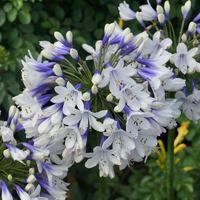 You will receive 15 each of Allium Christophii (silvery lilac, 50cm), Allium Violet Beauty (violet blue, 75cm), Allium Purple Sensation (vivid purple, 80cm) and Allium Multibulbosum nigrum (white, 70cm). 10/12cm bulbs supplied. 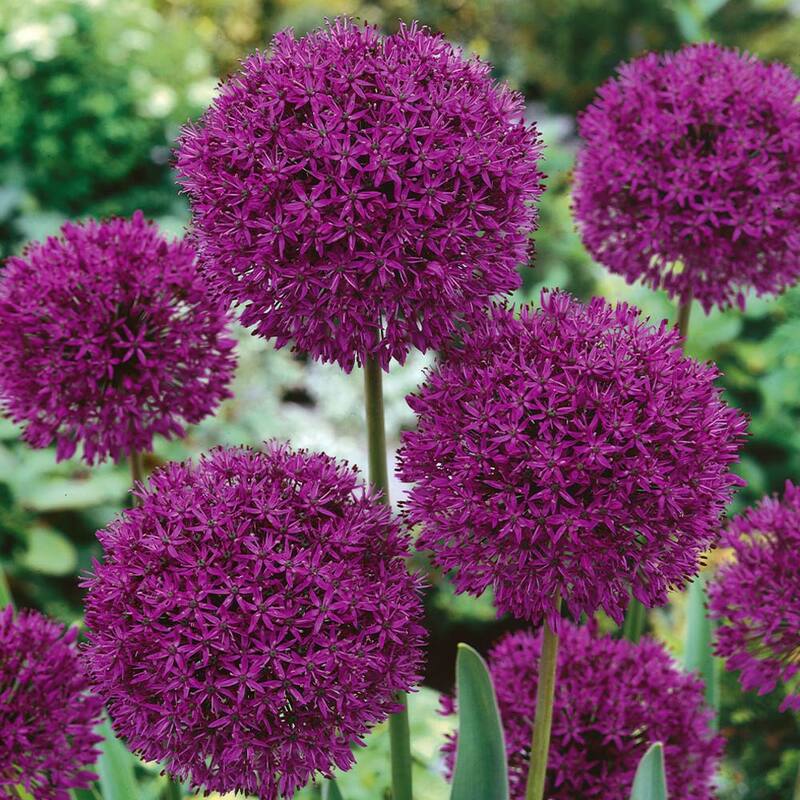 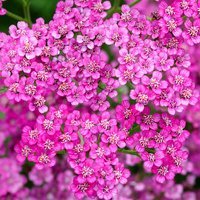 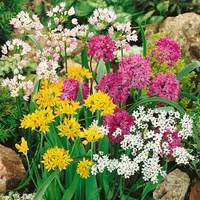 Plant in fertile well drained soil at approx 8cm-10cm apart and at a depth of roughly 3 to 4 times the size of the bulb.Leave untouched for a number of years until the bulbs have multiplied to the extent that flowering potential is impeded.